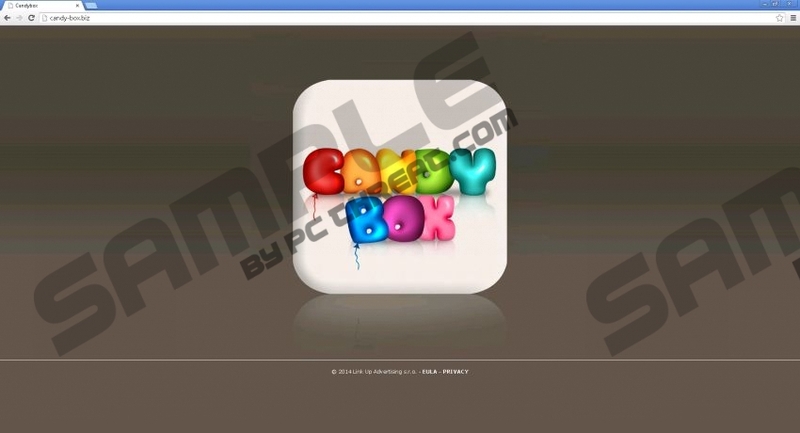 candy-box.biz is the official website of the suspicious application called Candy Box. Even though the program is promoted on the aforementioned website, it does not seem that you will be able to download it from there; therefore, it seems that Candy Box has entered your system without your permission. Delete it as soon as possible if you have already detected it because this program is just going to show commercial advertisements on your screen. It is very likely that they will ruin your browsing session and you will not be able to surf the internet without any disruptions. According to the specialists of pcthreat.com, Candy Box will affect Internet Explorer, Google Chrome, and Mozilla Firefox browsers. Thus, you will have to get rid of this unwanted program in order not to see ads anymore. Our researchers have tested Candy Box and found out that this program tends to travel bundled with various suspicious programs even though it is promoted on candy-box.biz. This advertising-supported application is not the only one that might slither onto your computer without your permission. Therefore, you should make sure that other infections cannot enter your system. In order to block the way for undesirable software, you should install an antimalware tool and keep it enabled. Keep in mind that you might encounter Trojans, rootkits, ransomware, and other serious infections if you keep your PC unprotected. In order to avoid various infections, you should delete Candy Box straightaway as well because it might help other threats enter your system. Actually, it is very risky to click on its ads because you might be taken to unreliable websites. Nobody is responsible for third-party links, which means that you might end up on unreliable websites very quickly. You will not be able to blame anybody because you have agreed with the conditions by installing Candy Box on your system. Is your computer’s safety an important matter for you? If so, we advise you to erase this adware as soon as possible. You will be able to get rid of candy-box.biz adware easily and quickly because this program can be eliminated via Control Panel. Keep in mind that the manual removal takes some time; thus, if you want to save your valuable minutes, you should better acquire an antimalware tool, for instance, SpyHunter and then perform a full system scan. SpyHunter will also help you to protect your PC from other infections. Right-click on the Metro UI background and select All apps. Click on Candy Box. Uninstall it. Quick & tested solution for candy-box.biz removal.